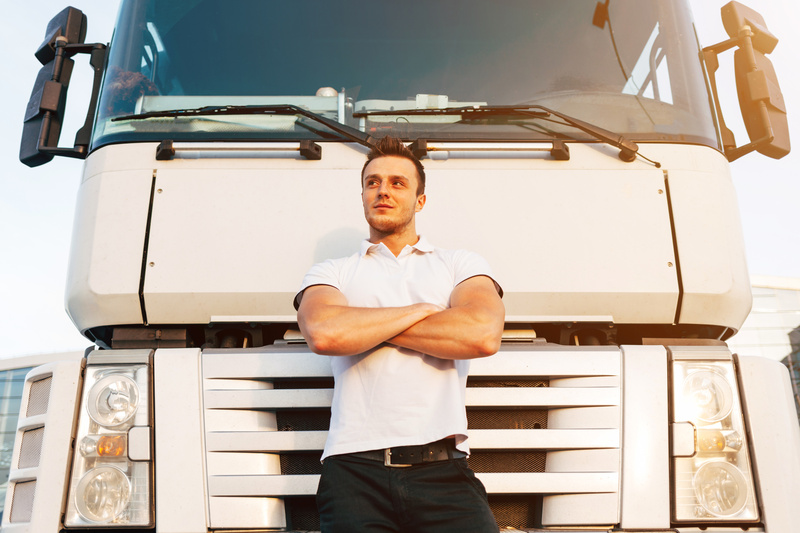 You have a passion for trucking, and you’d like to start a trucking blog. Starting a blog can be great because you can share your passion for trucking with the world. You can create a community of like-minded folks from all over the world who share that same love for trucking. If your blog is a success, you can find ways to monetize it and create another income. But just starting a blog doesn’t mean that people will automatically read it. There are millions of blogs out there, and you’re going to have to do some work to build up traffic. Are you ready to learn what it takes to start a successful blog? Keep reading to learn the top 10 tips to get your trucking blog off the ground. One of the most important steps in creating a blog is overlooked by a lot of bloggers. Most bloggers just set a blog up without thinking about what they want to do with it. They just want to share information. As you’re setting up your trucking blog, take some time to map out what you want your blog to be. 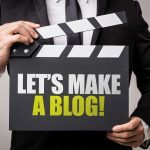 Do you want your trucking blog to be a resource for others? Do you want your blog to be a way to share your experiences on the road? What kind of traffic numbers would you like your blog to have? Would you like to sell advertising or monetize your blog through affiliate marketing? These are the questions will help you lay the roadmap for your blog so you can reach these goals. 2. Who Are Your Writing for? Your blog is not about you. It can be painful to hear, but it’s the truth. Everything that you do for your blog is for your audience. The name of your blog, the content you write, the images you have your site. You need to be clear who you’re writing for. Are you writing for other truckers or truckers just getting started in the industry? When you’re starting a trucking blog, you’re trying to solve a problem for someone. By helping people solve a problem or answer a question, you’re adding value to their lives. When you add value to their lives, you create a loyal readership. It’s time to take your blog from idea to reality. To make your blog real, you have to name your blog, buy a domain name, and hosting package. Choosing a name for your blog can be a little tricky. You have to keep your audience, SEO, and domain availability in mind. Think about what your audience is looking for. Are they looking for a behind-the-scenes look at trucking life? Are they looking for industry news? Write down 5-6 potential names on a sheet of paper. You’ll then want to check to see if the domain names are available. Choose one name that’s easy to remember and type into smaller devices like a phone. Make the investment and buy the domain name. The next step is to choose a hosting company. There are a lot of hosting companies to choose from. Some are better than others. You want to choose a host that has excellent customer support, a competitive price and is very fast with very little downtime. WordPress is the most widely used platform for blogs. It’s the system behind almost one-third of all websites online. There’s a good reason for it. It’s incredibly simple to use and set up. Even if you have zero programming experience. You can set up WordPress on your blog. Depending on your hosting company, installing WordPress can happen in 1-2 clicks. You just go into the back end of your hosting account, log on to CPanel, and click on WordPress Installer. Your hosting company will have a page of instructions set up. Just do a quick search for Google for the name of your hosting company install WordPress. For example, Bluehost has these instructions written up for their account holders. You’re going to rely heavily on search results for your blog to be found online, you need to make sure your blog is set up for SEO. The easiest way to do that is by installing a plugin. WordPress has about 55,000 plugins made by developers within the WordPress community. Plugins are small programs that perform specific functions. You can install plugins that will speed up your website and make image sizes smaller. That’s only scratching the surface of what plugins can do. There are plugins that will help you set up your website for SEO. The most popular ones are Yoast SEO and All in One SEO. They’re both great plugins, and you can’t go wrong with either one. What’s the secret to running a successful blog? The content that you write is going to make the biggest difference in your ability to keep the traffic that you get to your site. When people are coming to your site, they’re coming because they have a question or they’re trying to solve a problem. You should also make a blog fun to read. Whenever you’re writing, ask yourself if you would share that article or not. If you wouldn’t share that article, why would anyone else? Take a look at this blog post from Haaker Equipment Company. They take a technical topic and make it approachable and easy to understand. One important aspect of SEO is making sure that your site is mobile ready. Because more people are accessing web information on mobile devices, Google is prioritizing mobile search sites. WordPress makes it easy to make your site mobile friendly. All you have to do is make sure that you have a mobile or responsive theme installed. A responsive theme makes your website adjust automatically to the screen size. You put a lot of hard work into setting up your blog. You want to be sure that it’s protected from hackers. One of the issues that many bloggers have with WordPress is that it the most targeted platform by hackers. There are things that you can do to protect your website that are easy to do. The first thing you want to do is to always make sure that you’re using the latest version of WordPress and plugins. When these programs are updated, it’s usually because a security flaw is revealed. If you’re using an older version, hackers know how to exploit those flaws. The next thing you know, your blog is an advertisement for Cialis. Another way to protect your site is to keep regular backups of your blog. You can install a free plugin like UpDraft Plus, which can backup your files to Google Drive. 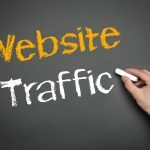 You should have multiple ways to drive traffic to your website. SEO will most likely be the primary way to drive traffic, you also need to drive traffic from other sources. Google can make one change to its algorithm and your blog you take a dive in search rankings. To prevent that dive in traffic, you’ll need to diversify your sources of traffic. That’s why social media is so important. Do you need to be on every social media channel? No, you don’t have time for that. You want to pick the two social media channels or online forums where your audience spends time. This is why knowing your audience is so important. Reddit and Facebook are good places to start. There are Facebook Groups and Reddit forums to join. When you participate in these forums, be sure to add value. Answer questions and be helpful. Only occasionally should you mention your trucking blog. If you go on the groups and do nothing but talk about your blog and promote it, you’ll be seen as a spammer. You’ll get kicked off the blog pretty quickly. Finally, if you want to drive traffic and be among a community of bloggers, you’ll want to reach out to other bloggers. There are a number of trucking blogs like Trucker Truth and the Real Truck Driver Blog. You may be able to guest post for these blogs as a way to introduce your blog to a wider audience. 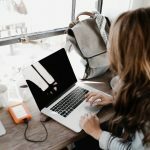 Starting a blog can be a lot of fun and a way to connect with other people who share similar interests. A trucking blog is a targeted niche that already has an active community. You have a great opportunity to share your expertise, create a community, and build a side-hustle around it. You could even grow it to the point where it becomes your job. As long as you focus on creating great content that’s useful to your audience, and you implement strategies designed to get a lot of traffic, anything is possible. Just remember that it takes time to build your audience and that consistency is the key to growth. Great, take a look at these articles on becoming a better writer.